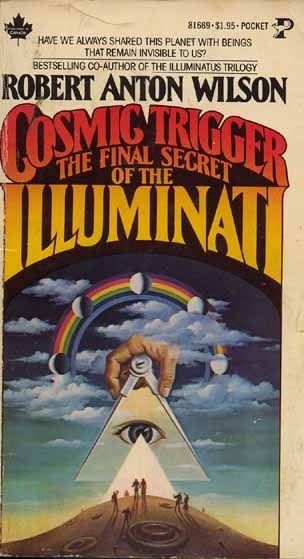 Cover of an early edition of Cosmic Trigger. 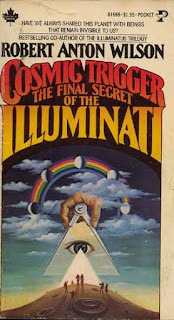 Richard Rasa has written to me to report that the ebook of Cosmic Trigger, republished by the RAW estate, should be out in the next few days. Ebooks of Prometheus Rising and Quantum Psychology should follow shortly. I'll buy the new Cosmic Trigger as soon as it becomes available. The RAW Trust will issue another email newsletter when the first book is published, and I'll report on that, too. How do I sign up for said newsletter? Is the KLF an anagram of Keep the Lasagna Flying? "ebooks" is somewhat vague. Exactly which format - kindle, nook, epub, pdf - will it be? I loved The New Inquisition. It 'is', in my humble opinion, the kind of work that could help save all humanity. 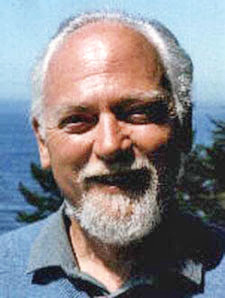 Robert Anton Wilson gave so much inspiration to so many of us. So many of his distillations would, in an ideal world, be taught in schools. Wahhh ): I want the print editions! Really looking forward to them.